Despite ultra-low mortgage rates throughout the summer, fewer than 10,000 HARP 2.0 loans closed in July 2015, marking the fewest closed loans in any one month in HARP mortgage history. As home values have climbed nationwide, up more than 30% in some markets since 2012, the need for an “underwater loan” such as HARP has diminished. However, the program remains hugely important to U.S. households, as many borrowers use the program to reduce mortgage payments by more than 30%. In some states, HARP loans account for more than 1-in-10 refinances closed. The HARP refinance loan has now been used by millions of homeowners in Florida for home loans and mortgages, since its inception at the end of last decade. What Is The HARP Refinance Loan? The Home Affordable Refinance Program (HARP) is a government refinance program meant to help homeowners whose homes have lost value since purchase. HARP was initially launched in 2009 as part of the Making Home Affordable initiative, a program which also launched the Home Affordable Modification Program, better known as HAMP. The primary difference between the HARP and HAMP programs is that the Home Affordable Refinance Program is meant for homeowners who are current on their respective mortgages (i.e. not late on payments). HAMP is for homeowners facing foreclosure, or who are otherwise delinquent on their home loan. HARP is often called the “Obama Refi”, and it’s backed via Fannie Mae and Freddie Mac exclusively. HARP’s Fannie Mae version is called “Refi Plus”. Freddie Mac’s version is called the “Relief Refinance”. These are brand names of the same mortgage product. The qualification standards for the Home Affordable Refinance Program are low. The first qualification is that Fannie Mae or Freddie Mac must have securitized your loan. Next, your loan must have started on, or before May 31, 2009. Last, you may not have previously used the HARP program to refinance. In addition, your mortgage payment history must be perfect for the last 6 months with no more than one late payment in the last 12 months; and your current loan-to-value (LTV) must be greater than 80%. You can calculate your loan-to-value ratio by dividing the amount you owe on your home into its value. For example, a home would have an LTV of 90% if it was worth $300,000 with $270,000 owed on it. HARP-eligible borrowers get access to the same low interest rates as everyone else, there’s no “penalty” for using HARP. Today’s rates are currently multiple percentage points lower than they were in 2009. 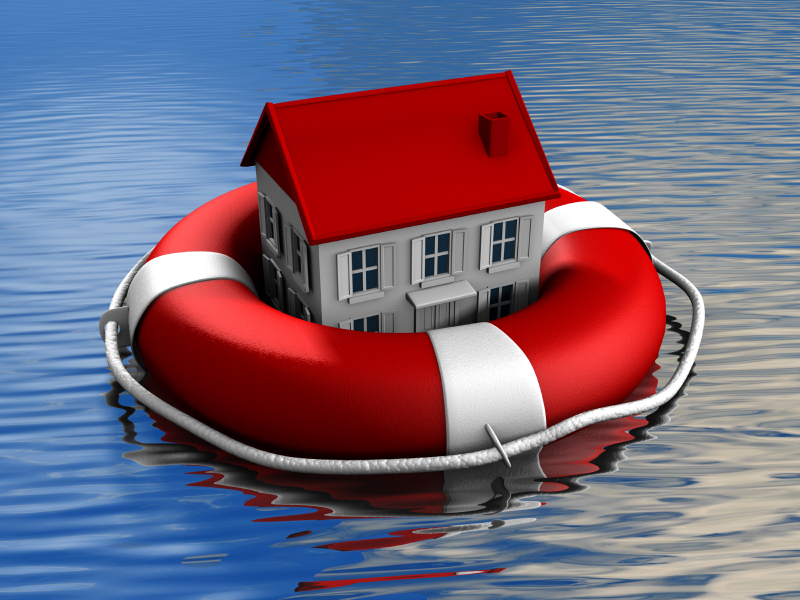 Should I Get A HARP Refinance In Florida? When the Home Affordable Refinance Program was first launched in 2009, it was built to reach more than 7 million U.S. households. Through its first three years, however, it was clear that the program would fall short of its goal. By 2011, fewer than 1 million HARP loans closed nationwide. To help HARP reach more households, then, in late-2011, the government re-wrote the program and re-tooled it. Changes were centered on two main ideas. First, make HARP more compelling to lenders so they’d make more loans; and, second, lower HARP qualification standards for U.S. homeowners. For banks, the government removed particular underwriting liabilities, which, under the original Home Affordable Refinance Program, had made lenders wary of refinancing another bank’s loan. This change made cross-servicing refinances possible. A homeowner with a Bank of America loan could now do a HARP refinance with Wells Fargo, for example. This wasn’t so simple under HARP 1. The second change in the Home Affordable Refinance Program targeted homeowners. Under HARP 2.0, homeowners were given to permission to refinance irrespective of their home’s equity. In the prior version of HARP, loan-to-value was limited to 125 percent. Today, HARP allows an unlimited LTV. According to the government, there are currently more than 600,000 U.S. households which are now HARP-eligible. The government has identified each, and is trying to make contact. HARP is not a scam. The program ends December 31, 2016. Through 2012, HARP was huge in states hard-hit by last decade’s housing downturn. As a percentage of all closed refinances, HARP loans routinely topped 60% in places such as Nevada and Florida. This decade’s rising home values, though, have diminished the number of homes eligible HARP at all. HARP requires homes to have less than 20% equity in order to be eligible. In California, for example, when home values have climbed sharply, HARP loans once accounted for 20% or more of all monthly refinances. The states in which Home Affordable Refinance Program closings were least common in July were Nebraska (1.0%), South Dakota (0.7%), and North Dakota (0.2%). Nationwide, HARP closings accounted for 4.6% of all closed conforming refinances, a near 300% reduction from one year ago. For today’s homeowners with lost home equity, regardless of whether you’ve been turned down for the Home Affordable Refinance Program in the past, it’s a good time to check today’s HARP mortgage rates. Mortgage guidelines vary by bank, and those guidelines are getting looser, on the whole.